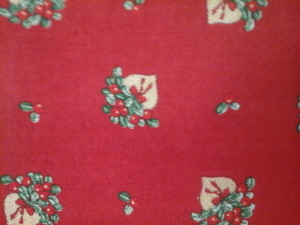 This Lingonberry Hearts Runner features hearts with lingonberrys on top pattern. Imported Swedish Fabric, Cotton, 36 in. Red and Gold Lingon (Lingonberry) Hearts.